2014 - PK Ripper Looptail 26"
What do you get when you combine old-school, radical, and new? You get the never-before-seen 26" PK Ripper Looptail. 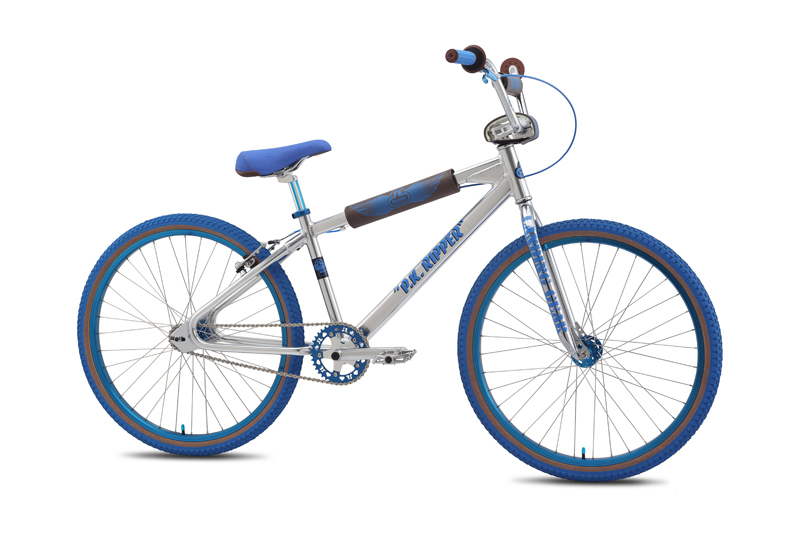 Built with Floval tubing, a looptail rear-end, and diamond dropouts, this bike is just like the old-school PK Ripper. 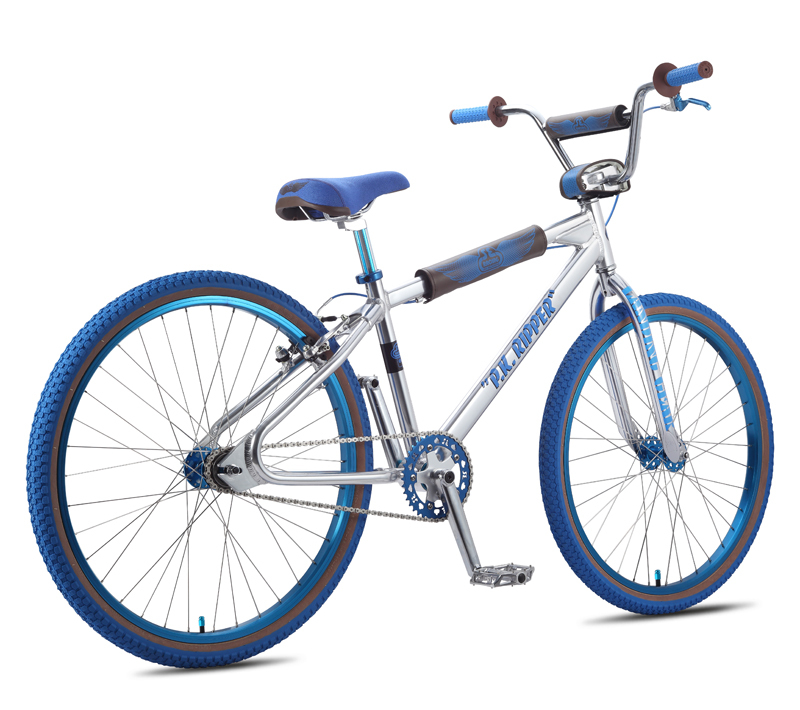 But with the 26" wheels, this bike comes in an all-new size. 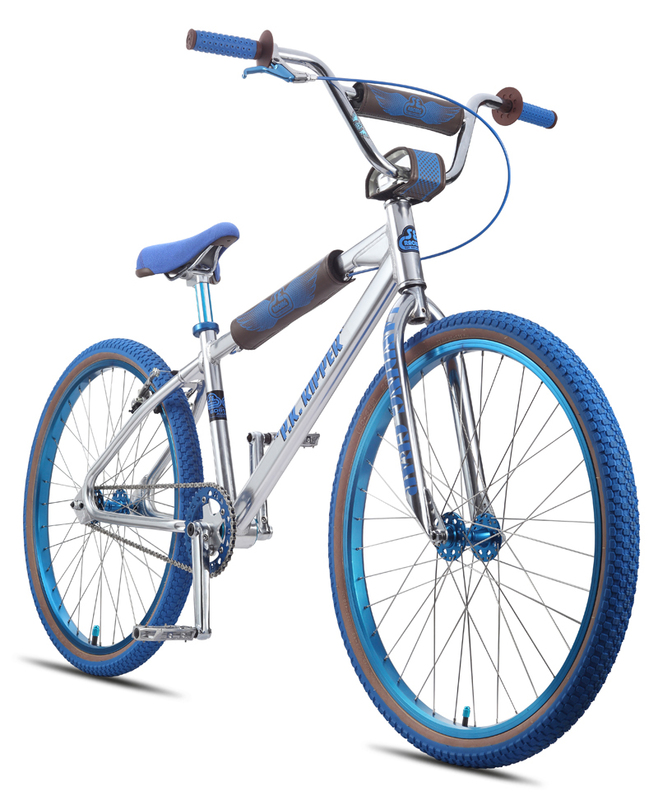 And once you add in the Oakley B-1B grips in a custom SE colorway, you will see that this bike is straight up RAD! HANDLEBAR Cr-Mo Power Wing Cruiser Bar, 28" x 7"